A new and shocking version of Robert Louis Stevenson’s classic tale of depravity, lust, love and horror adapted by Jeffery Hatcher and directed by Gary Brame. 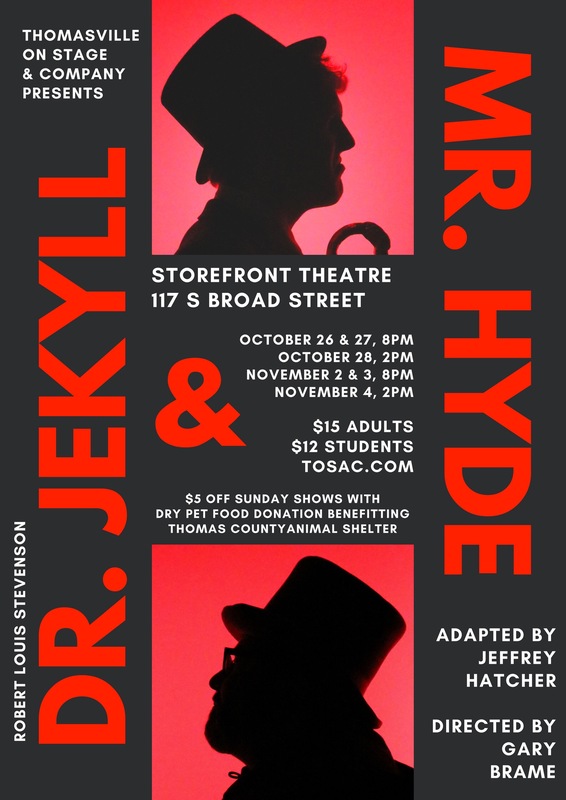 On the fog-bound streets of Victorian-era London, Henry Jekyll’s experiments with exotic “powders and tinctures” have brought forth his other self—Edward Hyde, a sensualist and villain free to commit the sins Jekyll is too civilized to comprehend. When Hyde meets a woman who stirs his interest, Jekyll fears for her life and decides to end his experiments. But Hyde has other ideas, and so the two sides battle each other in a deadly game of cat-and-mouse to determine who shall be the master and who his slave.